This Humalog Fridge Caddie is designed to hold 4, 10ml Humalog boxes and 2, 10ml open vials perfectly. 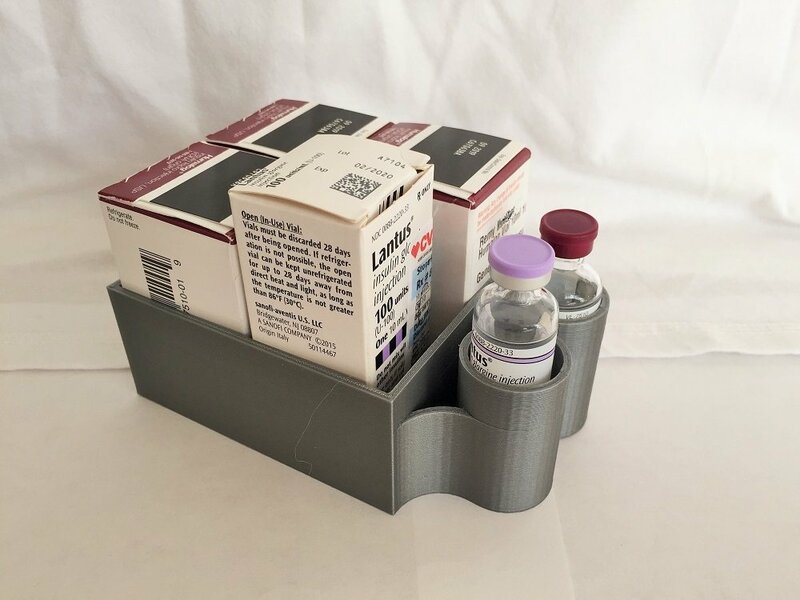 The box slightly elevates the vials up to allow easy access. Will hold others too, such as Lantus 10ml box and vial as pictured. It's 3D printed in grey PLA plastic. Has a prototype texture (from the printing process). Hand wash only. Likely offered for a limited time due to considerable time needed to produce.